Join us for the Trailblazer Symposium, showcasing the 2017 awardees on April 17, 2019. The event will be held from 9 am to 3 pm at the beautiful Indianapolis Central Library overlooking downtown Indianapolis. Indiana CTSI Community Health Partnerships is soliciting proposals for collaborative, community-engaged research projects focused on topics that have potential to improve health equity in Indiana. Examples of work we are interested in funding include substance misuse, tobacco use, obesity prevention, infant mortality, cardiovascular disease and diabetes. This call encourages and prioritizes projects focused on rural health. Awards will be up to $25,000. These projects are to pursue one or both of the following: (1) to implement research that has the potential to identify or reduce health inequities or (2) to evaluate an existing health-related program that has the potential to improve health equity. Applicants are encouraged to demonstrate how the proposed project incorporates core elements of community-engaged research. There must be both 1) a university lead and 2) a community lead for the project, both partners must currently work in an Indiana-based institution or organization. Indiana CTSI Community Health Partnerships is soliciting proposals for the development of community-university partnerships to improve health, examine social determinants of health, or enhance health equity to result in future collaborative research proposals. The award can be used to establish new partnerships or to strengthen/expand existing community-university partnerships to solve critical health problems affecting Hoosiers. This award will not fund research pilots; instead, it will fund activities that help develop partnerships between organizations that have potential to later engage joint research projects to address health, health equity or social determinants of health (SDOH). The expected outcome of this partnership development award is the development of a future research proposal for opportunities such as the Trailblazer Award. 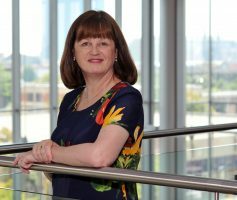 Examples of partnership development activities we are interested in funding include conferences, travel expenses and quality improvement assessments. Awards will be up to $5,000. There must be at least one university-based partner and one community-based partner. All partners must currently work in an Indiana-based institution or organization. 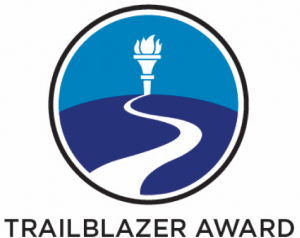 Learn more about what Trailblazer has become and what past awardees have to say about it. Pictured above are Trailblazer Award project teams at our 2017 Symposium celebration.